Fields Howell is a full-service insurance coverage, defense, and reinsurance law firm known for handling complex insurance and reinsurance matters in all 50 states, across the Caribbean, Latin America and England. How do you elevate and distinguish a firm facing tough competition in regional and overseas markets as trusted, go-to partner? Use simple, memorable messaging to re-enforce the firm as a “stand-by-you” practice that builds on valued relationships and treats clients like important members of the family. “We Take the Long View” expresses in simple terms the heart of the firm and its commitment to clients that it will stand by its relationships and continue to proactively build on an established foundation of knowledge, expertise and support for the long haul. 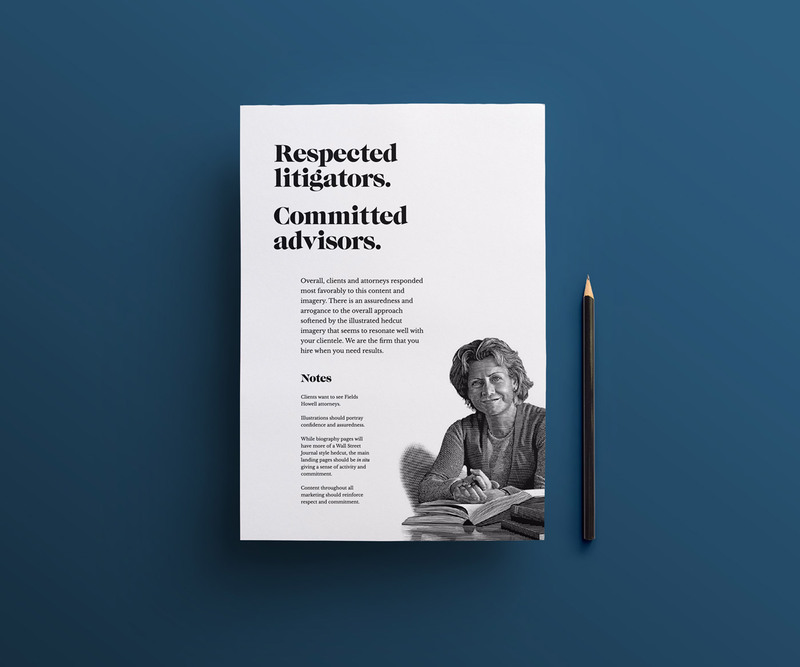 The tagline “We Take the Long View” is currently in use on the firm’s new website along with more human-centered imagery that better reflects the firm’s commitment to building long-term relationships.